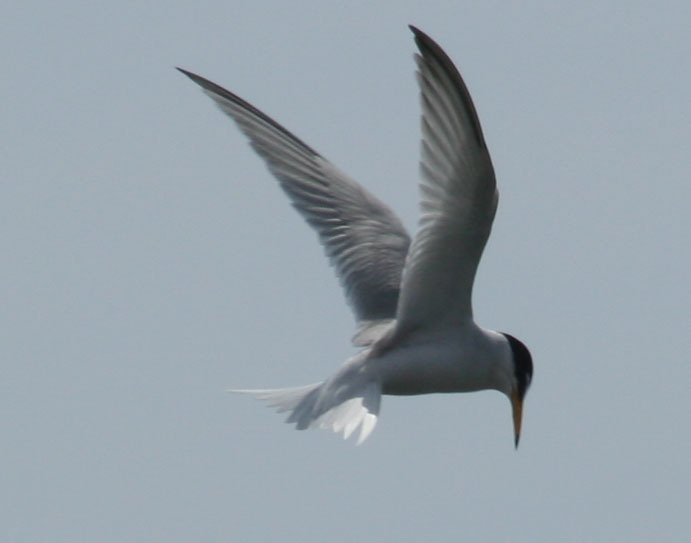 The little terns are often to be seen in the Ferrybridge area from May to July. They nest in an area of Chesil Beach which is usually fenced off during this period to prevent unintentional intrusion into the nesting area. We ask all visitors to respect the notices and leave the birds undisturbed. 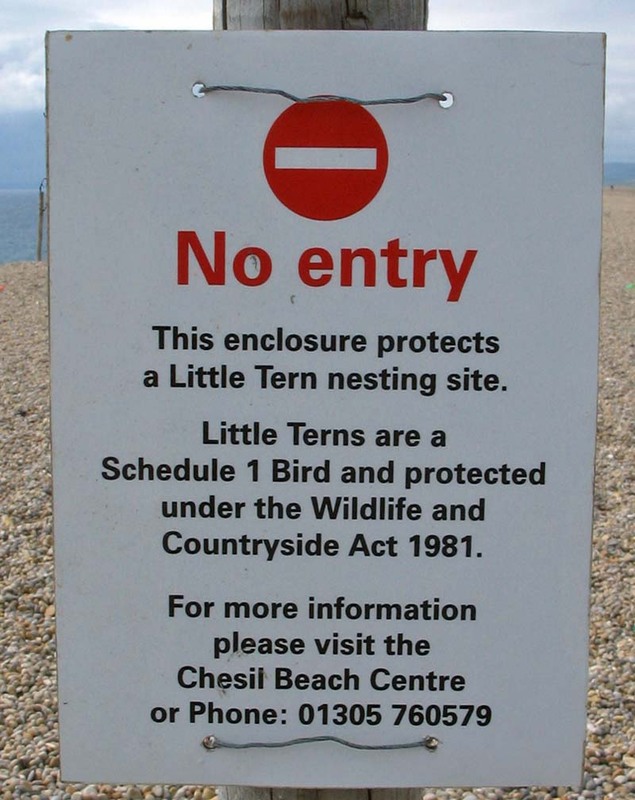 We endeavour to remove the fences as soon as the birds have finished nesting so that the beach is available to visitors during the main holiday period. 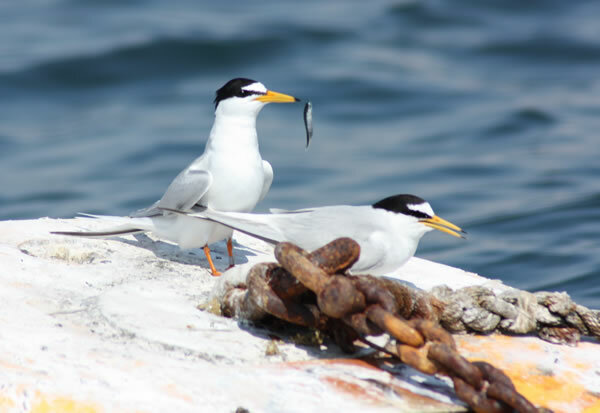 As the name suggests little terns are the smallest of the terns seen in the area. You often hear the distinctive call before you see them. They can often be seen fishing very close to Ferrybridge where they hover above the water before dropping quickly into the water to catch small fish. The common terns nest on an island near the Abbotsbury Swannery in the upper Fleet and are frequently seen in the mid and upper Fleet from May to July. They also nest at Lodmoor and birds from both colonies can regularly be seen hunting for small fish in Weymouth Harbour. Sandwich terns do not regularly nest on Chesil Beach. The nearest nesting area is Brownsea Island in Poole Harbour. However, as they return north in the spring they are often seen in the Fleet, particularly on and around the sandbanks at Ferrybridge.